One of the most important aspects of a wedding is the merging of two families into one. Angelica and Dave made sure to incorporate their kids into every aspect of their wedding day. They all got ready together – helping their parents look the best as they walked down the aisle. Dave’s sons even walked Angelica down!! During the ceremony, they each shared vows with the kids before saying their vows to each other. Their love for each other and their family was heartwarming . 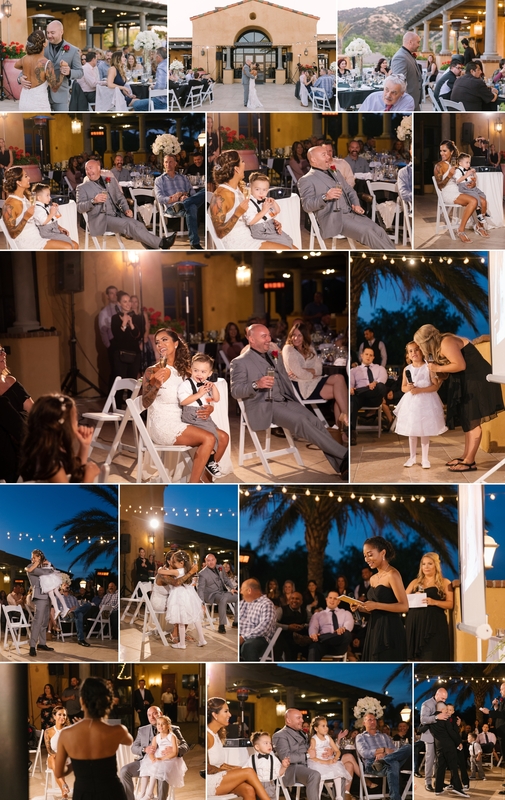 Each of the kids toasted to their parents and to their beautifully blended family. Check out their stunning wedding at Wedgewood at The Retreat photographed by yours truly!